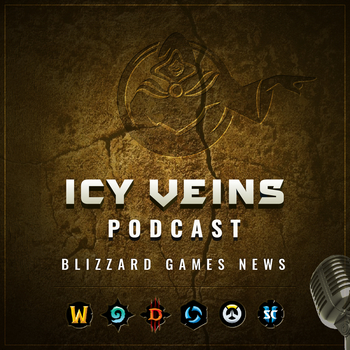 In the latest episode of the Icy Veins Podcast, we discuss the recently announced Hearthstone nerfs, PvP ranks and talents in WoW, Nexomania, Hero reworks, the 2nd anniversary event in Overwatch, and more! Don't forget to subscribe to our podcast in iTunes and join the discussion on our forums! [04:00] WoW: Patch 8.1.5 Recap, Derek & Jaina Cinematic Speculation, WoW Classic Content Plan [16:00] Hearthstone: Rise of Shadows Expansion: Keywords & Mechanics [30:00] Heroes of the Storm: New Content Patch: Currency changes, Revamped Hero Roles, Character Reworks [40:00] Overwatch: Baptiste Now Live, Balance Changes, Overwatch League in 2020 [46:00] Diablo: Season 17 Delay, Diablo I on GoG Don't forget to subscribe to the p﻿odcast in iTunes and leave a comment in this thread with your thoughts about the latest episode. If you enjoy our show, you can support it by becoming a Premium member.